We’ve all done it. You’re starting your search off for a new product (or are having no luck finding something with your more precise search terms) so you go for broke and just Google the main topic. This tends not to be very helpful (even though we’ve all done it and will do it again). In our case, when you Google “CRM” you start off (as you’d expect) with some ads from the big name providers. Then it moves on to definitions of the topic, most of which are published by the same big name providers. And Wikipedia…we mustn’t forget them. About halfway down the page, you start to see a few more providers and then you’re back into advertisements. And that continues across the next several pages…however many you choose to look at. And that’s how it works for pretty much every product you can image, you Google it, you see the ads from the big names, you see some blogs, and then you see the other players in the marketplace. It’s how Google works, we all know that…so why am I writing a blog about it? First off, I want to look at WHY people are googling their search for CRM and how helpful the information is when they get there. And then I want to share some ideas for search terms that might fit their needs a bit better. 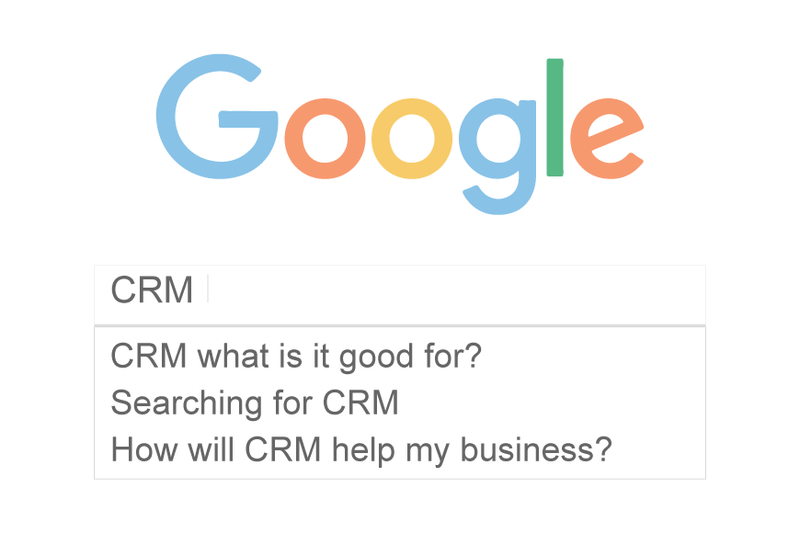 So why do people google CRM? Well, the obvious answer is that they are looking for a CRM system for their business…but often that’s not the reason they choose that particular search team. They aren’t sure what it is but someone (or several someones) have said they should have one. They know they need a CRM system, but haven’t the first clue where to start their search. And finally, they have a CRM system they don’t like and are on the look out for a replacement. How helpful is the information on Google? As I mentioned about, when someone DOES google “CRM” they find three kinds of information: adverts, definition, and about a million providers. None of that information is particularly helpful if you fall into any of the three groups I mentioned above. Oh sure, you’ll find CRM systems, but you’ve cast a pretty wide net and now you’ve got to figure out how to narrow that down to systems that will actually help YOUR business. I’d like to go back through my three top reasons people are looking for CRM with a broad search term and see if I can suggest some better searches. These are people who will start out being intimidated by the adverts, mainly because they don’t actually know what they’re looking for. 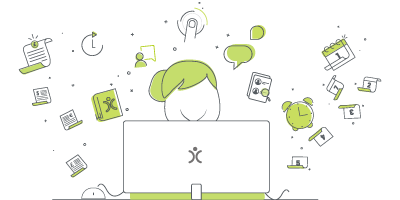 The adverts will shout out that they’re the best CRM on the market…but if you don’t know what a CRM system is or how it can help your business, that’s not really going to do anything for you. Next, they’ll start to see those definitions. Now these can actually be helpful for this particular user (depending on the goals of the writer or website). These definitions tend to be general, but can start a potential user down the road to working out WHY everyone is telling them to get a CRM system and HOW exactly their business could benefit from having one. Then they get down to the providers…these actually tend to be less helpful at this stage. I would usually recommend that, when someone is first starting out on their CRM journey, they need to make a list of everything they need a system to do for them and their business. Jumping straight from “I don’t know what a CRM is” to “here are some providers” is missing that vital step. This could actually be the same person as in the last section…but after they’ve read some of those definitions and making up their list of CRM wants and needs. Let’s say, for the sake of argument, that they’ve gone through my suggestion of working out what they need a CRM system to do for their business and are diving back into the search. Now those adverts could be useful this time, especially if the targeted description highlights some of the key areas they’re looking for…but with this search term, they’ve probably still gone a bit too broad and will have to trawl through a lot of results to find a system that fits them. The definitions won’t really be helpful this time and our imagined user will probably skim right passed them. And finally we’re back to a big long list of CRM providers…again, possibly useful, but it’s a lot to go through. Some better search term suggestions (really anything with the main features you’re after): “CRM [sales management]”, “[support helpdesk] CRM”, “CRM [email integration]”, and so on. This person sounds quite a lot like our previous user. The main difference is attitude. 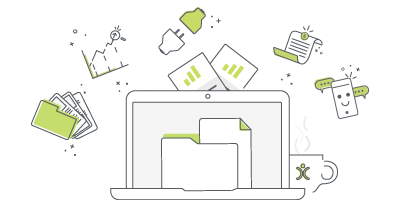 Instead of looking for a CRM with certain, specific features, they’re more likely to look for a system WITHOUT their current provider’s drawbacks. In fact, this person is less likely to cast their net as wide as just “CRM” and might, if they’re very fed up, go for “I hate CRM”. It’s easy to become discouraged when you’re dealing with software or a provider that isn’t right for you or your business. These people are going to zoom right passed the adverts, they don’t want to hear the hype this time around. And the definitions too are going to be given a pretty big miss. When it comes to the provider, again in my experience, those people who are out for a replacement CRM tend to jump straight in to chat or call potential providers. They know exactly what they want (and don’t want) from a provider and want to narrow down their list quickly and efficiently. For these users, instead of the generic “CRM” (or something more negative), I’ve got a few alternative suggestions, although the same suggestions about googling particular CRM features are still applicable here. Searching for a CRM, whether it’s your first system or a replacement for one that just doesn’t suit anymore, is tough. But by being more precise in your googling and dedicating some serious time to working out what you and your business needs from your CRM, you’ll find the right system for you.